Fall 2012 Nail Polish Faves! Laurel and I LOVE nail polish!! Maybe because our mom always had the most beautifully manicured nails…never a chip! Seriously! And one of the best things about the change of seasons is the new collections of colors that come out!! We wait in anticipation of what new shades, sheens and shimmers will be seen on our fingers and toes! Fall gives us permission to leave behind the brighter shades of summer and delve into deeper tones! This year, OPI is the king of the metallics and Essie is the queen of rich creamy shades! The great thing about nail polish is that it can update your look and be a quick and inexpensive pick-me-up. Here are a few of our fave fall shades…. 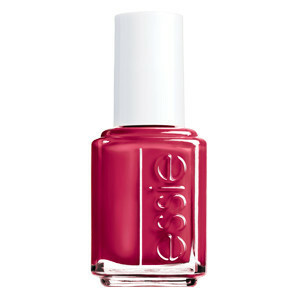 You can NEVER go wrong with red and our pick for red this fall is Essie’s Head Mistress. This red has blue undertones and will look fantastic on everyone! Red is ALWAYS in fashion when it comes to nails!